"This book will provide you with important information on the prerequisites for success, including fit with your organization s mission and distinctive expertise, a skilled management team, board and staff buy–in, market demand, and many other elements. Whether you are a nonprofit practitioner, academic or student, funder or investor, I believe that this information will help you make the right decision for your organization and give you access to the expertise and knowledge you need to get going." 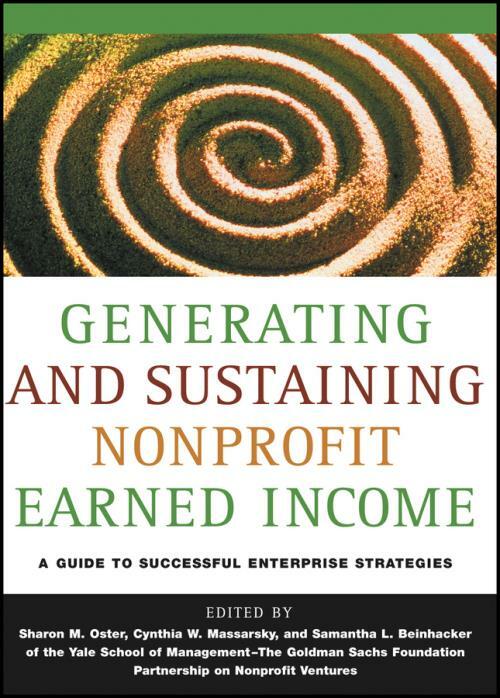 Generating and Sustaining Nonprofit Earned Income is the essential hands–on guide for helping your organization achieve greater financial stability through a diversified stream of revenue. In collaboration with the Yale School of Management The Goldman Sachs Foundation Partnership on Nonprofit Ventures, this important resource identifies best practices for generating a reliable earned income stream and ultimately freeing your organization from excessive dependence on foundations and other donors. If your organization has done its pre–testing and feasibility analysis and is ready to start operating an earned income venture, this is the book for you.